What a sweet little treat for your favorite critter. These cute Bon Bones are constructed from colored vine balls and paper twists. 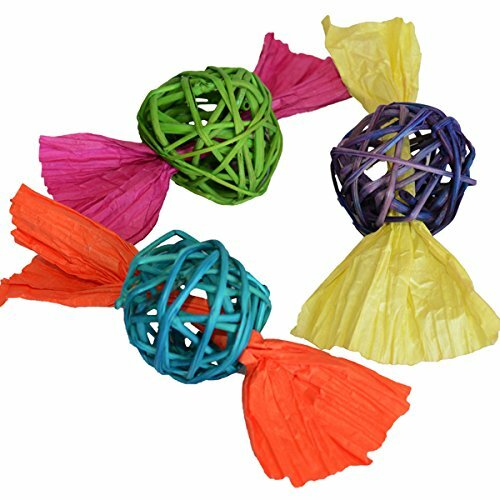 Your rabbit, guinea pig, chinchilla, or other small pet will love to roll these around, and toss or nibble on them. You can turn them into a foraging toy for even more fun by stuffing favorite treats into the vine balls!